Rimage Corporation is a pioneer and innovator in CD, DVD, and Blu-ray Disc™ publishing, duplication and production technology, with over 20,000 Rimage systems currently installed globally. Catalyst disc publishing is a re-engineered system tailored to customers that need industrial-grade durability, interchangeable printers, and compact size for medium-volume production needs. 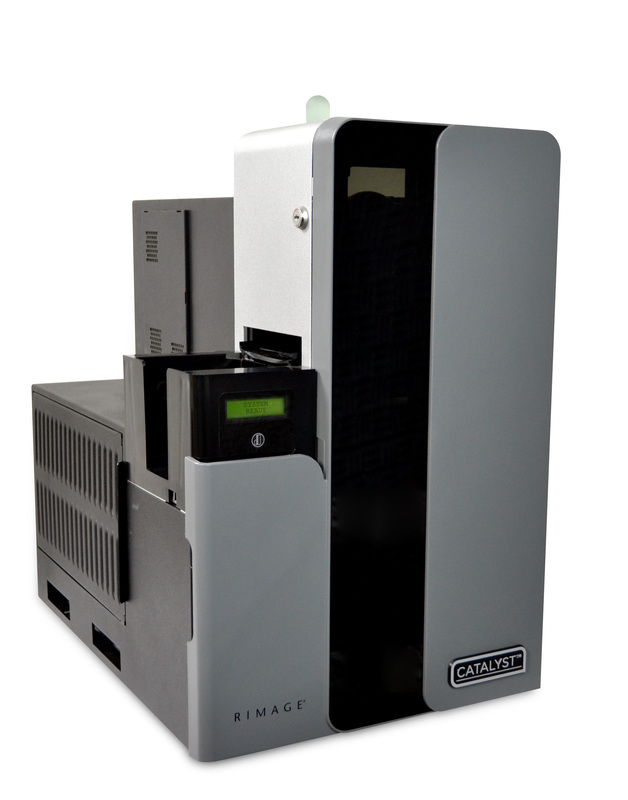 Rimage Corporation, a global leader in optical media publishing, announced today that it is expanding its product line with the new Rimage Catalyst™ series of disc publishing systems. Catalyst is a re-engineered system tailored to customers that need industrial-grade durability, interchangeable printers, and compact size for medium-volume production needs. The series includes Catalyst 6000N, which contains an embedded PC, and Catalyst 6000, which requires an external PC. Catalyst systems will begin shipping in mid-February and will be available globally through Rimage partners and system integrators. Rimage Corporation, founded in 1978, is a pioneer and innovator in CD, DVD, and Blu-ray Disc™ publishing, duplication and production technology, with over 20,000 Rimage systems currently installed globally. Rimage designs and manufactures disc publishing and printing hardware, and provides related software, consumables and support. Their products are used in many vertical applications including video surveillance, computer crimes and evidence, medical imaging and records, marketing and sales support, data distribution, enterprise content management and audio video distribution. Rimage, which is part of the Equus Holdings group of companies, is headquartered in Minneapolis, MN and has additional locations in Dietzenbach, Germany; Tokyo, Japan; Shanghai, China; and Taipei City, Taiwan. Rimage sales, service and support is available globally through a network of partners. For more information about Rimage, please visit http://www.rimage.com.